Who doesn't love a good recipe? 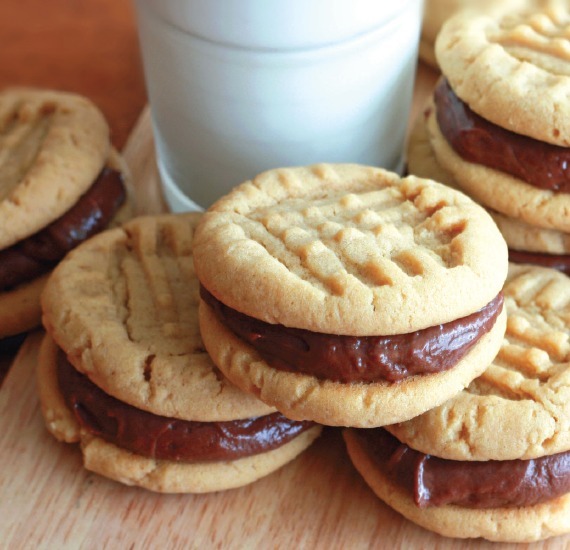 Check out our second offering of our new monthly column dedicated to recipes we've tried ourselves; we've got plenty of good summer tastes you and your family will love. This salad is light and refreshing, and it’s always a hit at social gatherings. I use romaine hearts instead of iceberg lettuce, and I sprinkle feta cheese crumbles and chopped walnuts on top. 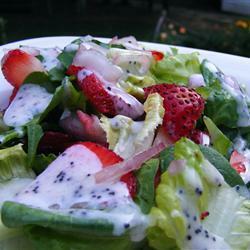 Tip: Don’t toss salad with poppy seed dressing until right before serving. Otherwise, the greens will get soggy. Bell peppers were on sale at Smith’s. You know, not just the regular green ones that you use all the time, but the pretty, colorful ones. Even the orange and yellow ones, which can be crazy expensive. Which means that in the past three days, I’ve (along with my husband) cooked and consumed 11 bell peppers (well, cooked and half consumed. I’m consuming some of the leftovers at my desk as I type this). There are still four more peppers in the fridge that will be cooked tomorrow. Six of them were dedicated to creating this delectable dish you won’t regret. I did make a few modifications, which I highly recommend. I diced up the tops of the bell peppers that I chopped off and sautéed them along with the onions and garlic so that extra veggie goodness wouldn’t go to waste. I also added hamburger and cumin (and replaced regular chili powder for the chipotle chili powder, but that’s a personal preference). What makes this recipe even more awesome, though, is that I doubled the recipe, used some of it to fill and bake 6 peppers last night, and put the rest of the filling in Ziploc bags in the freezer. Near-instant meal for future use = fantastic. My mother-in-law recently went vegan for health reasons. She's been such a good sport about us all eating meat and cheese around her while she ceremoniously dug into salads that a couple weeks ago I decided to make a dinner that we could all eat. The boys still had traditional beef burgers, but she and I had these dressed up, delicious portobello burgers. The sweet onions and peppers add a ton of flavor, and though I only used salt, pepper, and olive oil on the mushroom caps, they packed a pretty powerful flavor as well. I served them with berry salad and steamed corn on the cob. A total win! I will definitely make these again as a hearty, healthy dinner. These hummingbird cupcakes taste more like a really sweet breakfast muffin, but they are so pretty. Just make sure to give yourself plenty of time to dry the pineapples.